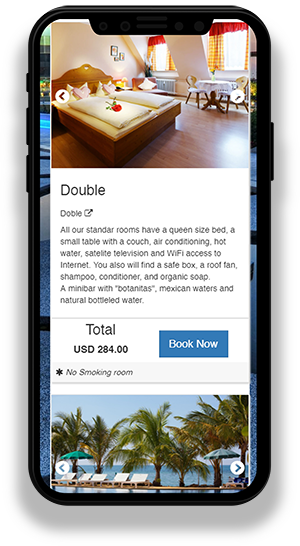 SmartHotelier is an Easy to Use Booking Engine for small and medium Hotels that want to get more DIRECT reservations. Stop wasting a 30% in Booking.com, Expedia, etc..
SmartHotelier is the booking engine made by hoteliers for hoteliers. We know you want to spend your time "doing " instead of "trying ". SmartHotelier booking engine is EASY and SIMPLE to use and understand. We make it easier for you, offering FOR A LIMITED PERIOD OF TIME to upload all your hotel's initial data, room's photographs, rates, etc, so you can start making money immediately! Wherever you are, just open the app to check last reservations, who is arriving or leaving today, or your current occupancy. With SmartHotelier's App you don't need to be at the office to know what's going on! You need an active account with SmartHotelier to use the app. 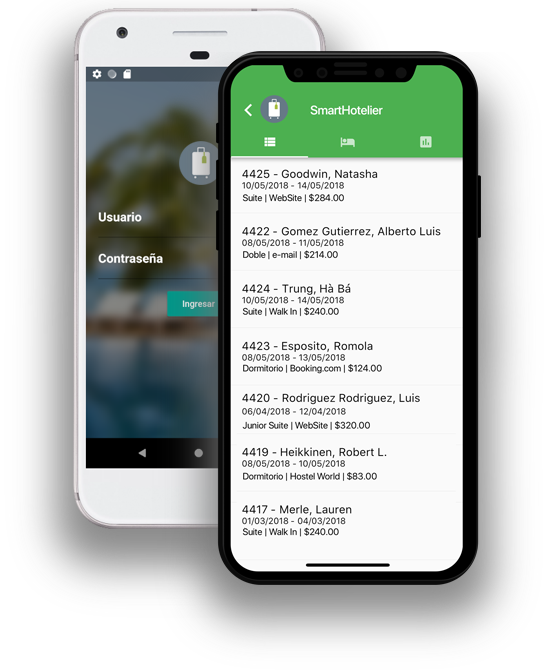 SmartHotelier CHAT keeps your clients in contact with you in the most important moment, when they are going to book a reservation. It doesn’t matter how extensive the information in your website is, the future guest will have doubts and questions before booking the reservations. With SmartHotelier CHAT the staff of the reservations department will clear those doubts and convert a visit in a sell. * Prices in American Dollars. Do you want to know more? ASK FOR A DEMO BEFORE BUYING! Without any obligation request a SmartHotelier's demonstration. Via Zoom or Skype you can get to know the booking engine from your office or house. You'll see there is not an easier Hotel Booking Engine for this price!